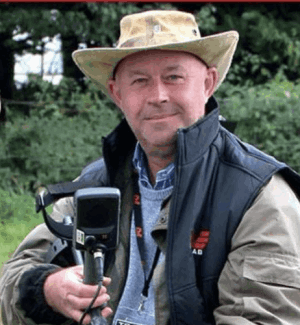 Treasure Hunting is an exciting monthly magazine packed with information and useful features to help you get the most out of the fascinating hobby of metal detecting. The monthly magazine for metal detecting! Each issue contains at least 92 pages packed full of interesting articles and beautiful colour photographs. Lots of stories about what people have found, including coins and artefacts from the Bronze age, Celtic, Roman, Saxon and Medieval periods, right up to modern finds. There are also regular Field Tests of new detectors and interesting historical articles from some of the leading UK experts explaining not only what the artefacts are, but how some of the items found came to be there and what they were used for in their time. The UK's rich history over the last 3500 years comes to life! From beach to farmland, beginners to experienced detectorists, age 6 to 106, there is something to fascinate everyone in each issue. If you like metal detecting and history you will love Treasure Hunting magazine. My interest in all things detecting grew out of several related hobbies and interests back in the mid-1970’s, including fossil collecting, history and archaeology. It wasn’t until around 1977 that I first got to use a detector, borrowed from a family friend – in the weeks that followed I became truly hooked! Back then I had no idea how my passion would flourish and what amazing paths the hobby would take me down. I became involved with excavating wartime aircraft crash sites (including a Zeppelin!) and even ended up in the dry, desolate deserts of Jordan looking for artefacts. Over the decades I have written, or been involved with the publishing of some 17 books, all related to metal detecting. In 1998 I began writing articles for Treasure Hunting magazine and have never stopped – there was always a new find or something I wanted to share with others. In 2016 I was offered a position with the Treasure Hunting magazine team and became Editor shortly afterwards. Being able to combine my deep passion for detecting with my career is truly a dream come true! It has been, and will always be, an amazing privilege to be involved with so many fantastic people who share my love for this fantastic hobby.